You need a workers compensation lawyer in Santa Rosa to help you file your claim, and Krankemann Petersen, LLP can help. Our partner and attorney, Erik Petersen, has more than 20 years of experience in the field, acting as our Board-Certified specialist and workers compensation attorney to help bring our clients the justice they deserve. 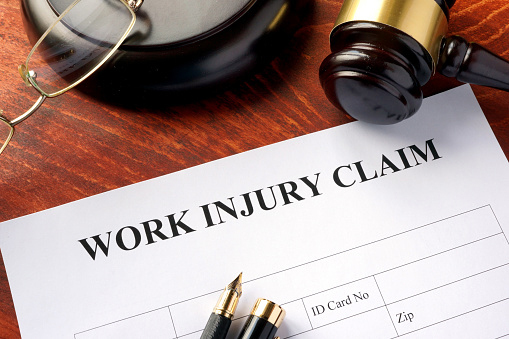 A workers compensation case involves many complex legal processes and we’re here to help file documentation, protect our clients, and maximize their claim. These are benefits that you deserve, and our job is to make sure you get them. If you’ve experienced an on-the-job illness or injury that has left you with a physical or mental condition, it can be exceedingly difficult to get the support you need for yourself and your family. Mr. Petersen and the Krankemann Petersen team are here to help you during this difficult time, whether you need light guidance or someone to act on your behalf during trial. Working closely with a workers compensation lawyer at our Santa Rosa office takes much of the pressure and confusion out of the situation, allowing you to heal and recuperate rather than deal with red tape and legal loopholes. In order to maximize the benefits that you’re owed, you need to have a partner that understands workers comp backward and forward, and that’s a service we can provide. Choosing your workers compensation attorney is an important process and we’re happy to set up a consultation to go over how we can get the most out of your claim. Mr. Petersen has lived and practiced law throughout Northern California, gaining a great deal of experience over his 20-year tenure. He has tried many successful cases, several of which awarded over a million dollars. As a result, he is one of the most sought-after trial attorneys in the area. He has taught legal courses and served as Judge Pro Tem and Hearing officer for the County of Mendocino. There’s no better choice for a workers compensation lawyer in Santa Rosa. Contact our office today to get started.